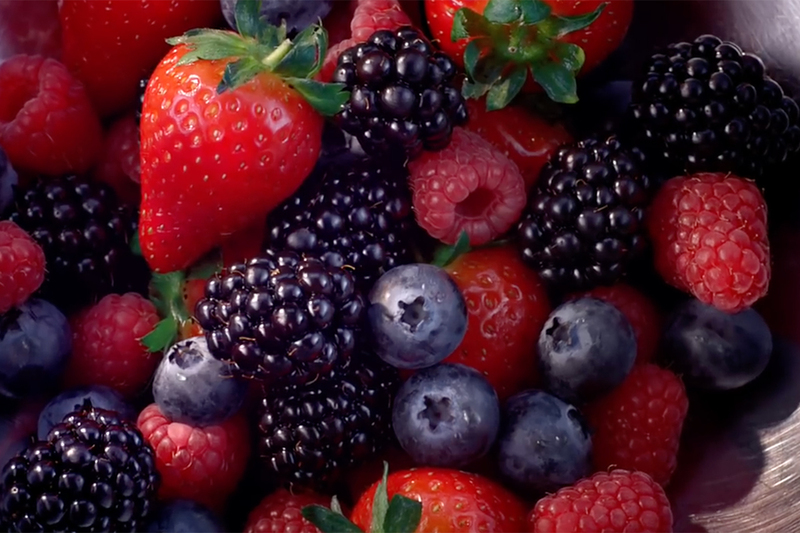 Tesco, the U.K.'s biggest supermarket chain, today launches its first work since appointing BBH to handle its advertising earlier this year. The retailer, which has been beset by falling profits, accounting scandals and a failed expansion into the U.S., has returned to a focus on customer service, in a style of advertising more reminiscent of its 1990s ads featuring comedy actresses Prunella Scales and Jane Horrocks as a mother and daughter. This time, there's a new Tesco "family," played by comedy actors Ruth Jones ("Gavin and Stacey) and Ben Miller ("Primeval") as a married couple, with their 25-year-old live-at-home son played by up-and-coming actor and YouTube star Will Close. 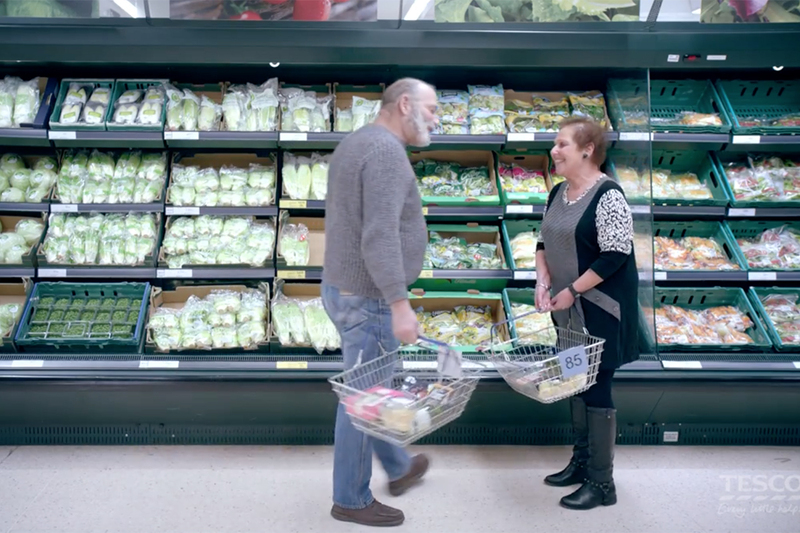 One ad promotes Tesco's long-time "One in front" promise, that it will open up another cash register if there's more than one person waiting in a line. Jo (Ms. Jones' character) is delighted when a nice young man from Tesco opens up a new till and ushers her to the front of his queue. "I've still got it," she thinks, "Those pilates classes must be working." 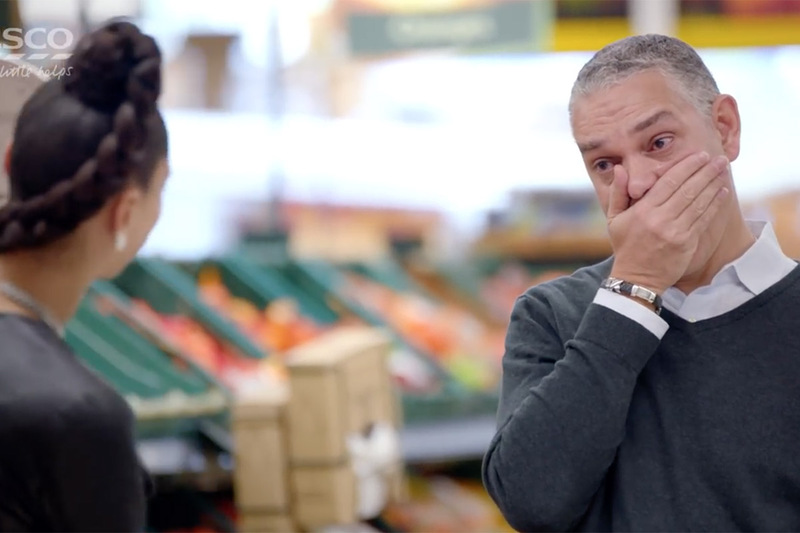 The second spot promotes the brand guarantee, where Tesco refunds the difference if a branded item costs less at a rival supermarket. Roger (played by Miller) is determined not to pay too much for his cornflakes, and decides to barter with the cashier, proudly using techniques he's learnt in a Moroccan souk. He thinks he's been successful and got a better price -- but in fact he has merely been the beneficiary of Tesco's brand guarantee policy. Both spots are directed by Rattling Stick's Daniel Kleinman (whose veteran's touch is apparent in the funny performances, snappily delivered dialogue and light-hearted touch.) All three actors will appear in Tesco's ads going forward. Caroline Pay, deputy executive creative diretor at BBH, added that they were cast because they are "comedy institutions" rather than celebrities. There's also a renewed emphasis on Tesco's long-time slogan, Every Little Helps: Michelle McEttrick, group brand director at Tesco, told Creativity: "It's fair to say it hasn't been so prominent in recent years." McEttrick added that the new ads represent a move away from the "responsive and reactive mode" of advertising that has dominated retail ads over the past few years across the whole sector. She said they are aimed at bringing "more warmth" to the Tesco brand. "We want people to feel that Tesco is back," she added. 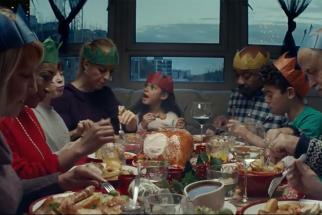 The advertising, which breaks on Sunday, is just part of a series of marketing moves designed to relaunch Tesco's beleaguered brand. Read more about the retailer's strategy over at AdAge.com.